5 Steps to Easy Bathroom Remodeling | DECOLAV's Stay in the Know! 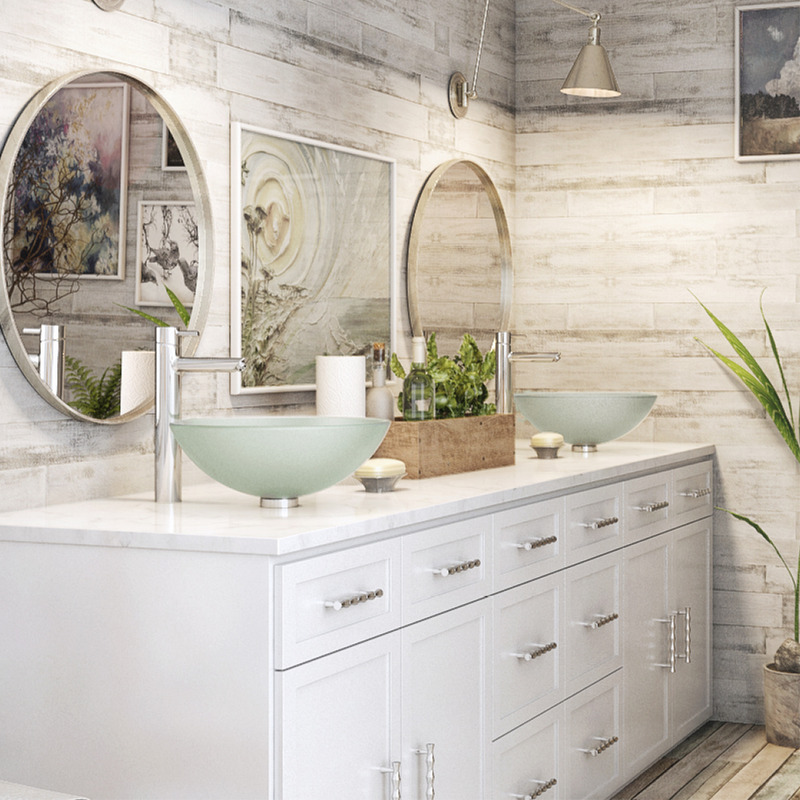 However, bathroom remodeling typically takes a considerable amount of research, preparation, and decision making, so we’ve put together five easy steps for you to follow to make the process more streamlined. Begin to draw up a wish list and gather up new ideas. Take a look at magazines, social media platforms such as Instagram or Pinterest, and any other sources that might inspire you. Seek suggestions from family and friends whose homes you admire. Consider new trends, tried and true design solutions, and discard any you don’t love. Do some practical considerations of your budget, timelines, space limitations, and current needs. Assess your skills and budget to begin deciding if there are any items you may want or be able to DIY. Consider what items if any may be salvageable and what must be replaced. Research and plan your room by meeting with contractors or design consultants and looking at the furniture and fixtures styles you are contemplating. Finalize your decision by asking any follow-up questions and further discussing everything with your partner or spouse, if applicable. Make the commitment and move forward, knowing that you’ll soon be enjoying your fresh and stylish newly remodeled bathroom. Following these simple steps can lead to a bathroom that will not only make your home more marketable when it’s time to sell, but will also provide you years of pleasure to enjoy after your project is finished. When it’s time to remodel, DECOLAV has a wide variety of solutions that can help you achieve the room you want with our quality styling and expert engineering. Coupled with your unique vision, we can provide innovative solutions for your bathroom design, and DECOLAV offers an abundance of options that are sure to satisfy even the most discriminating taste. If you would like more information about how DECOLAV can help you with ideas for your bathroom, please visit www.DECOLAV.com.